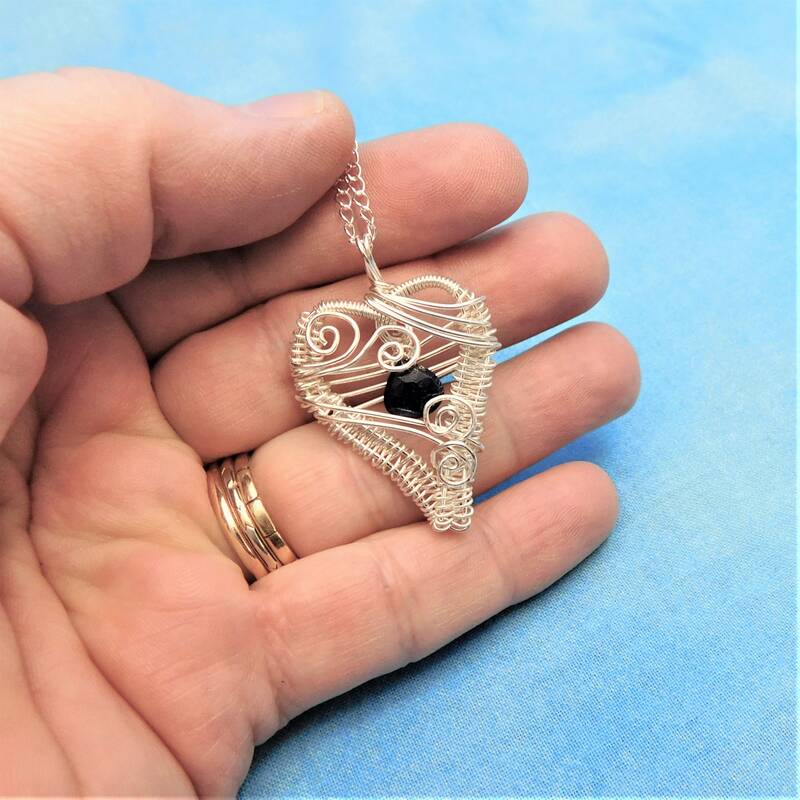 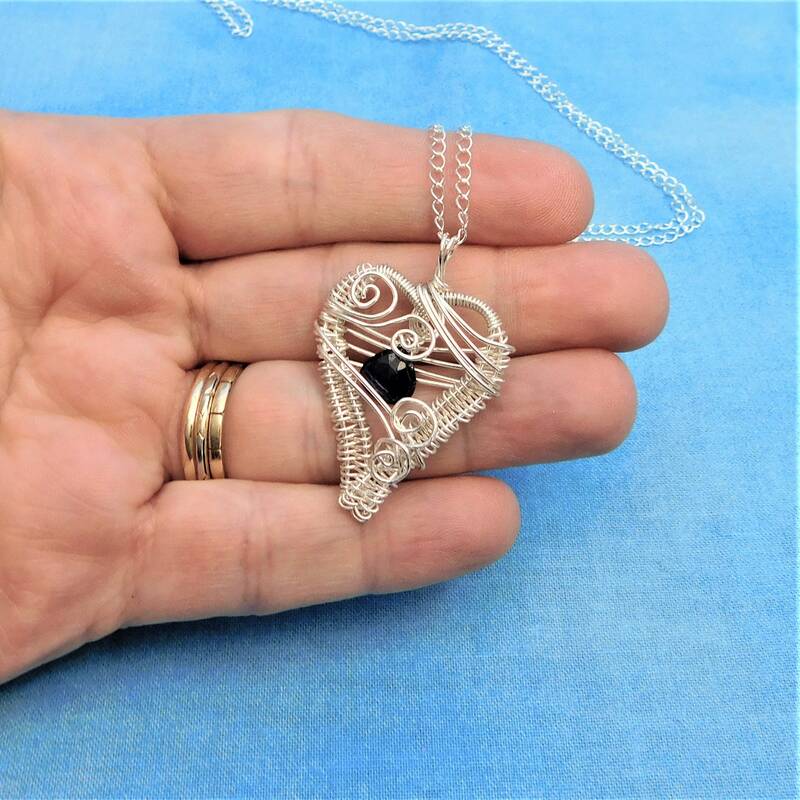 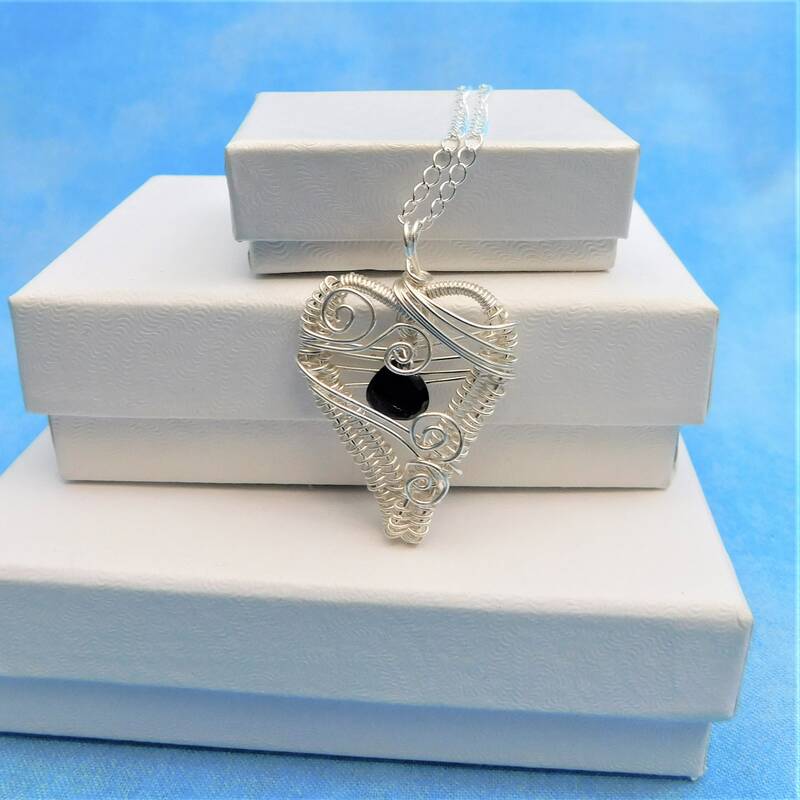 Sterling Silver Wire is hand woven and sculpted into a heart shaped frame to surround a faceted genuine sapphire. 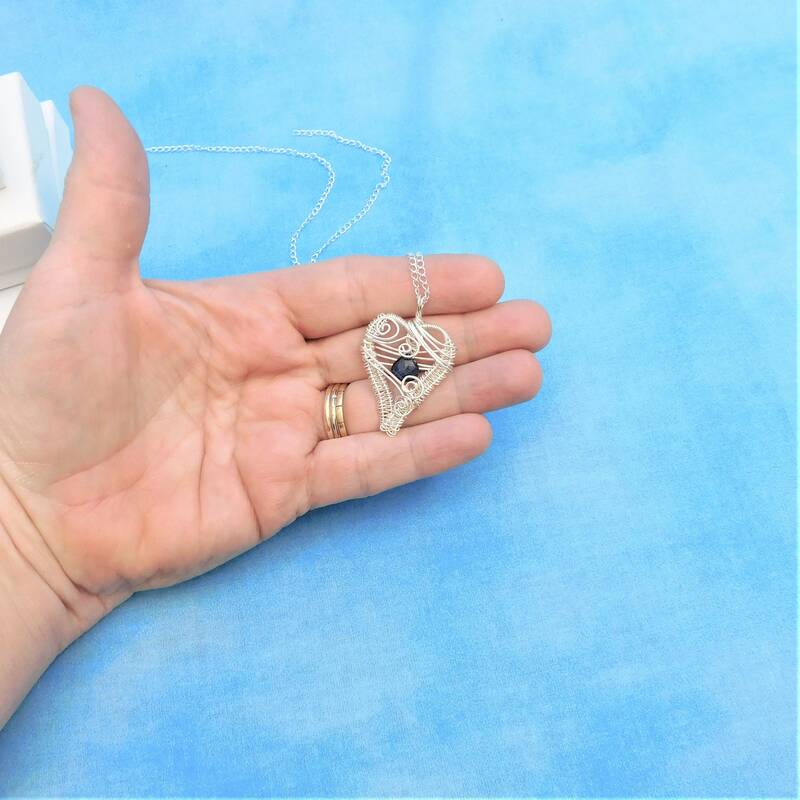 The faceted sapphire drop is suspended within the heart by thin strands of sterling silver wire, giving it slight movement that catches the light. 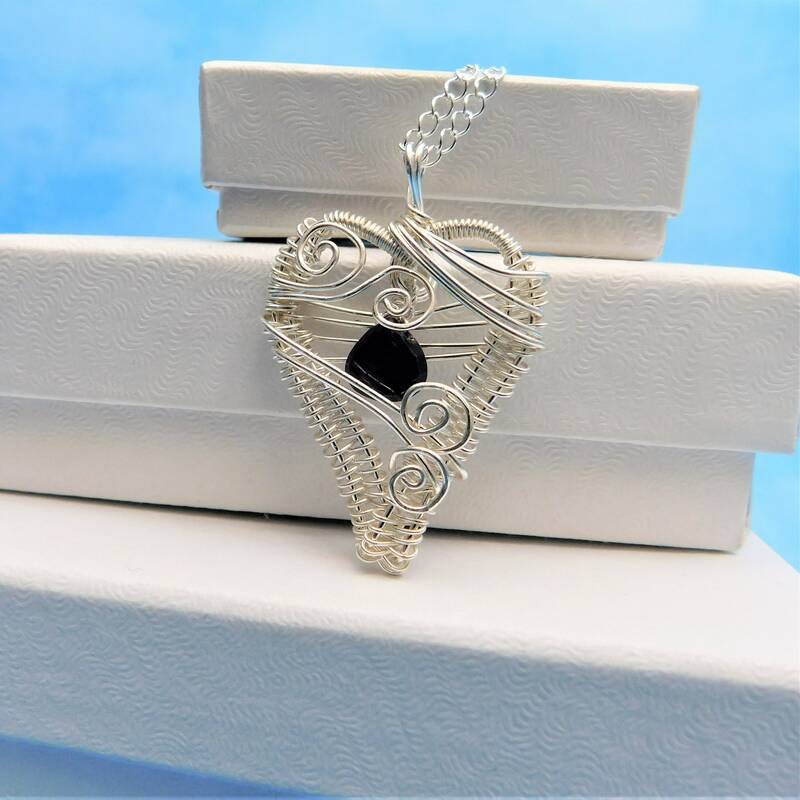 It is an elegant and interesting pendant that is as unique as the woman who wears it. 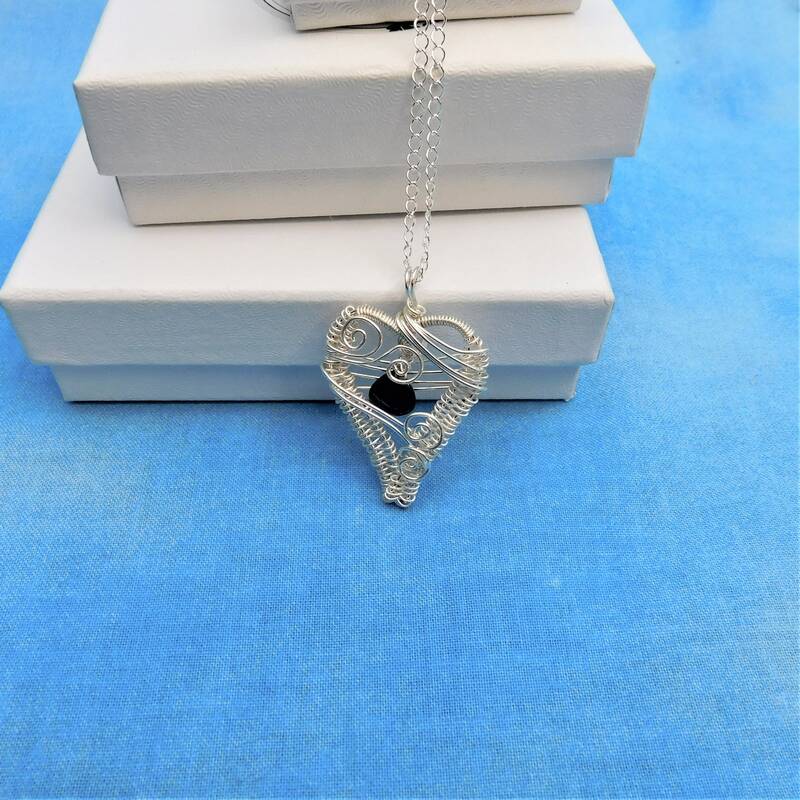 The heart measures 1 1/4 inches by 1 inch and comes with a light weight, sterling silver chain with lobster claw clasp. 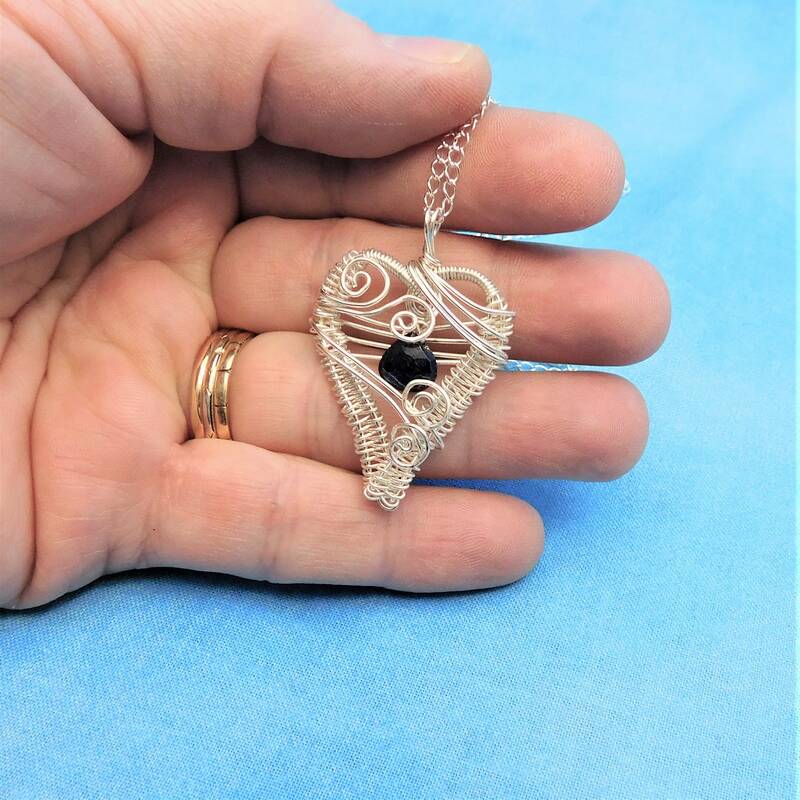 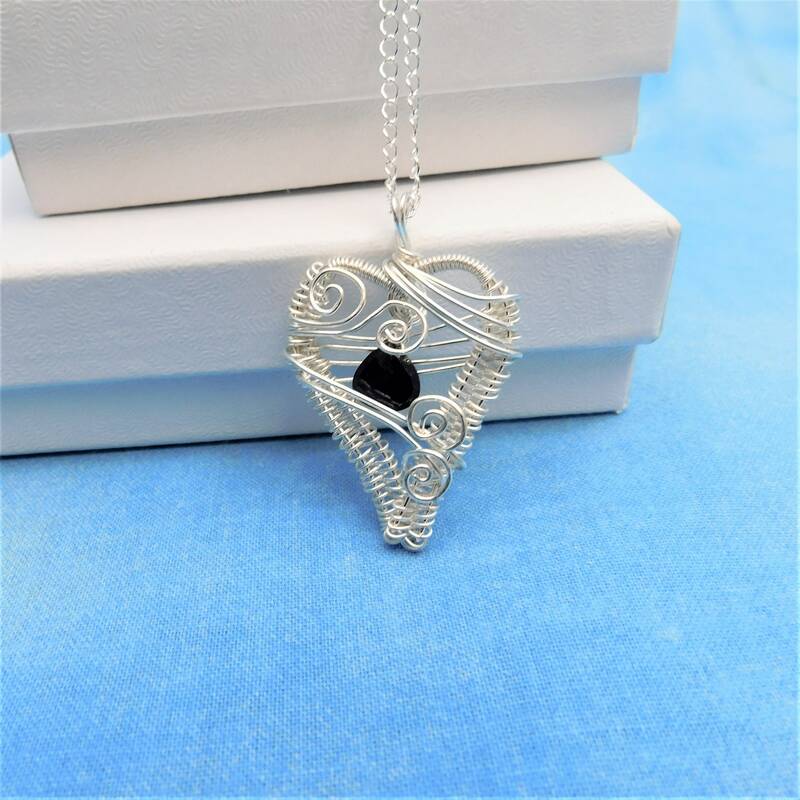 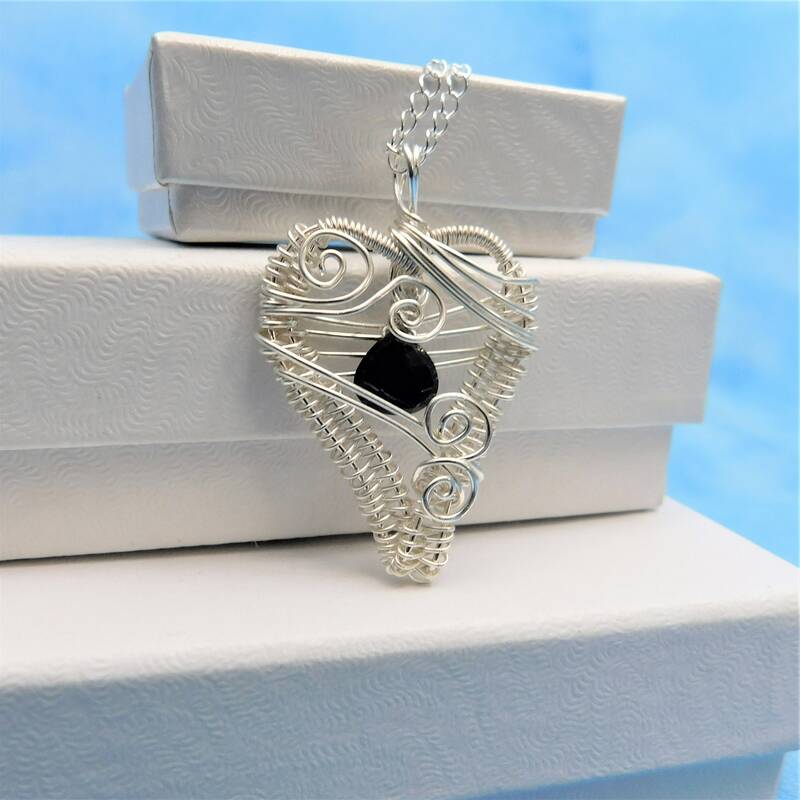 *The sterling silver wire used in this pendant is not treated. 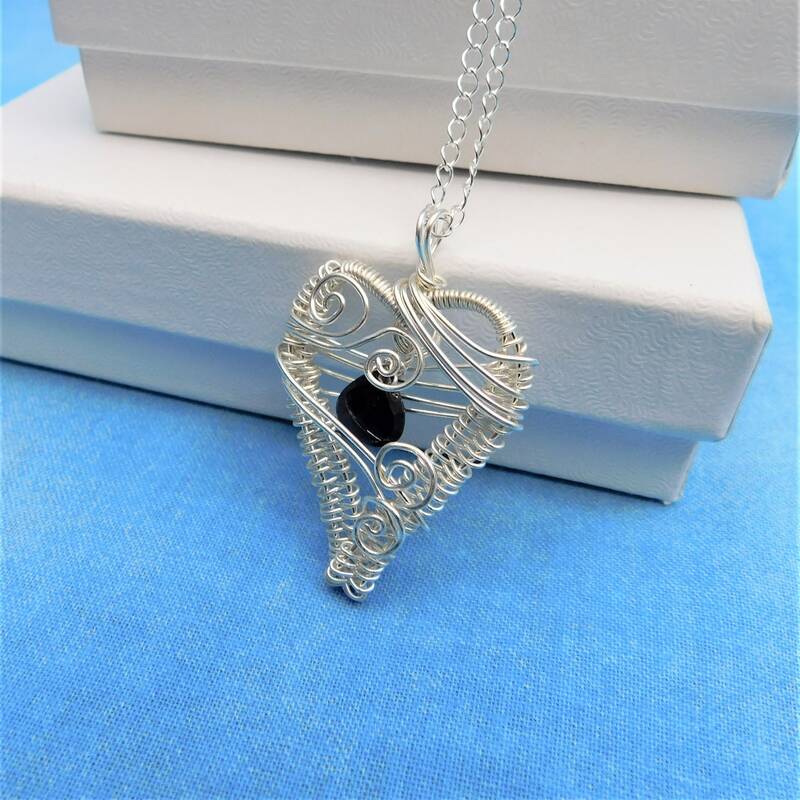 Careful preservation in an airtight bag is recommended to maintain the bright silver color of the wire.